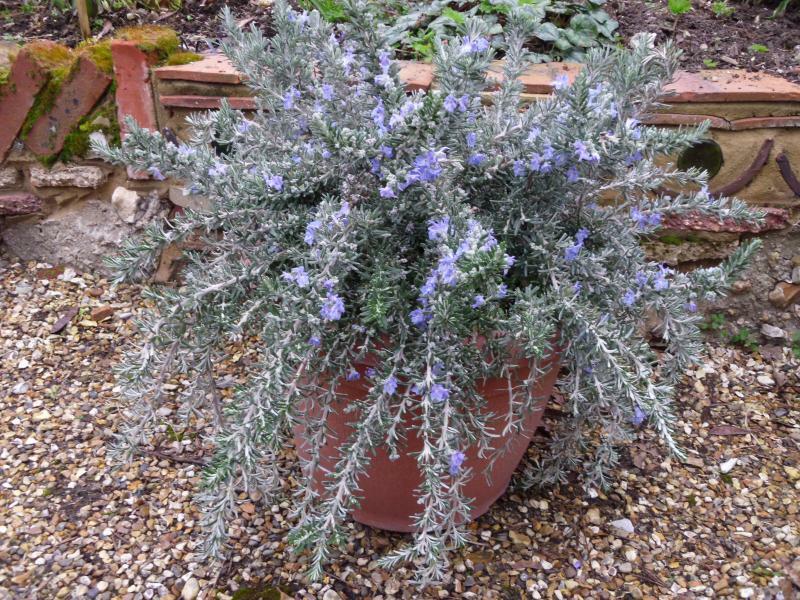 Rosmarinus officinalis 'Whitewater Silver' forms a dense, low-spreading, evergreen mound of aromatic foliage that’s white-woolly underneath – giving the plant a distinctive silvery sheen. 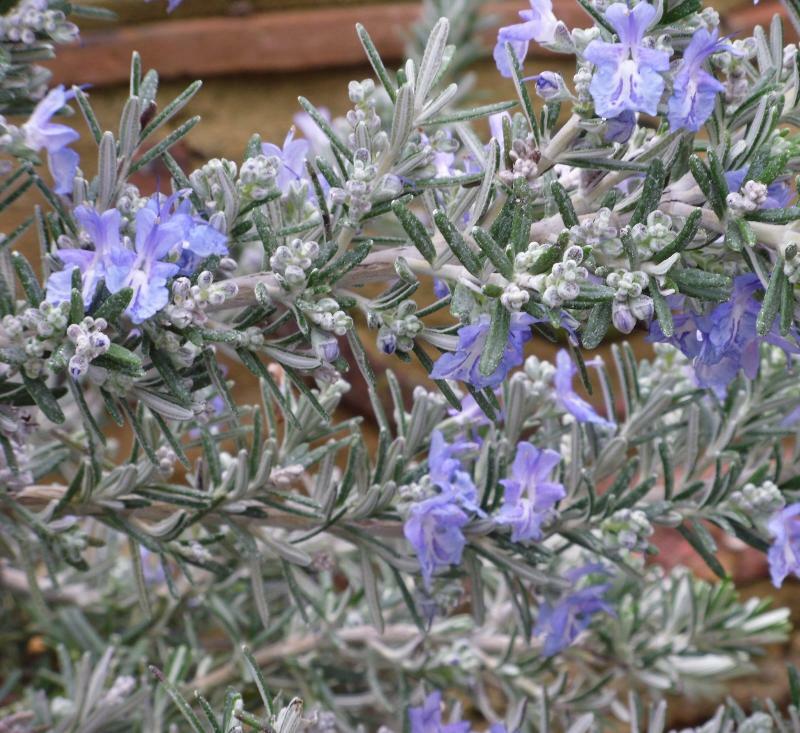 Blue flowers light-up the foliage during the spring and intermittently throughout the summer. 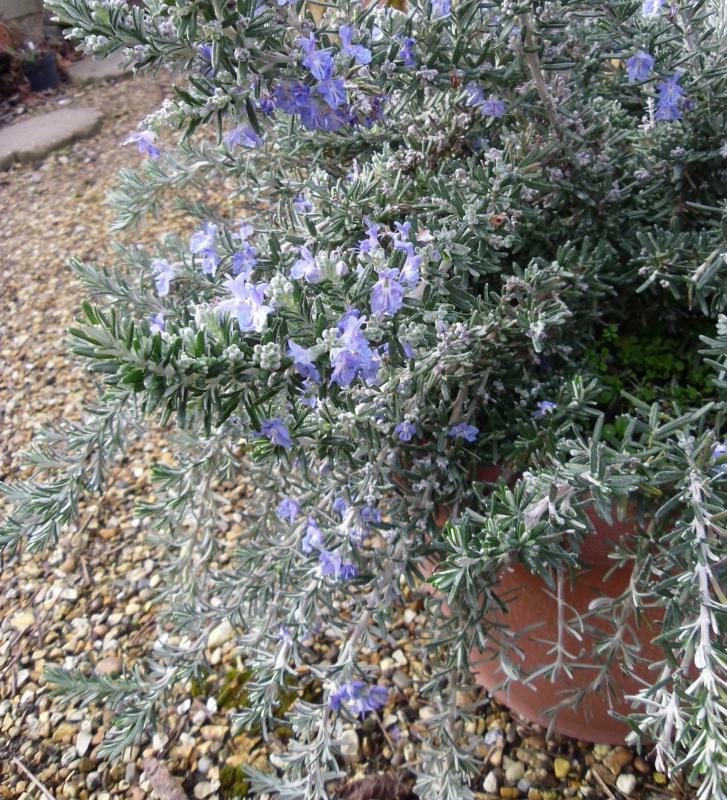 Then, in autumn, the shimmering silvery foliage comes to the fore, illuminating the border throughout the winter months. A fantastic year-round winner! 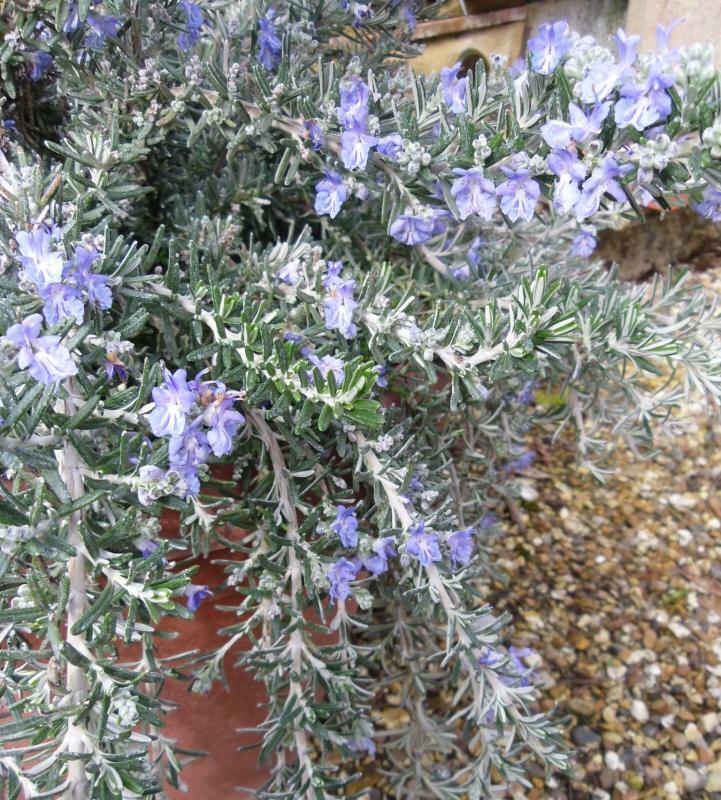 Rosmarinus officinalis 'Whitewater Silver' is a brand new Rosemary variety discovered by Robin Wallis at the Whitewater Nurseries in Hampshire UK, during 2012. Stock of this variety is limited.